the Odyssey is an example of oral poetry? Did Homer use writing? The Odyssey, although it may or may not have been orally composed, is generally agreed to derive from a tradition of oral poetry. We know this to be the case because the Odyssey exhibits several traits that are typical of oral poetry. But what are these traits, and what is oral poetry? Oral poetry is poetry that is both composed and performed without the aid of writing. Within an oral tradition, poems are not composed and then recited; instead, the act of composition takes place during the performance. The poet has to ‘make it up as he goes along.’ Therefore no two performances will ever be precisely the same. Anyone who has tried to compose a substantial poem using a formal meter knows how difficult it can be, even with the aid of writing. To us, used to painstakingly working out each individual word and phrase, the off-the-cuff oral composition of a poem of many hundreds of lines can seem scarcely credible. Between 1935 and 1937, the American scholar Milman Parry recorded a series of performances of oral epic poetry by Bosnian singers. He discovered that in order to compose with speed and fluency, the Bosnian singers drew upon a large repertoire of formulaic expressions and stock scenes. Similar formulaic expressions and stock scenes also appear within both the Odyssey, and the Iliad. This leads us to believe that since the composer of the Odyssey uses the tools of an oral poet, he himself must himself have been trained as an oral poet. This also suggests, but does not prove, that the Odyssey was itself composed orally. We do know that the Bosnian singers recorded by Parry were capable of composing poems of a comparable length to the Odyssey. Parry’s followers, most notably A.B. Lord, have argued that the formulaic character of Homeric writing excludes the possibility of written composition. However, the eminent German scholar Wolfgang Kullmann has argued that no Serbo-Croatian epic poetry comes close to the literary quality of the Iliad and the Odyssey, and that a work of such quality can only be created with the aid of writing. Lord, A., The Singer of Tales, Harvard 1960 – The classic statement of the oralist position. Lord was Milman Parry’s research partner in Bosnia. Parry, A., The Language of Achilles, Oxford 1989 – The title essay is an accessible introduction to Milman Parry’s theory, written by his son. Kullmann, W., ‘Oral Poetry Theory and Neoanalysis in Homeric research’ GRBS 25 1984 307-23. – A sparky neoanalyst attack on the oralist position, arguing that writing must have been used in the composition of the Odyssey. It becomes necessary to choose a suitable translation of the Odyssey, whether this will be used for classroom or personal use. The first decision that needs to be made when teaching or studying the Odyssey is exactly which translation to use. It is necessary to carefully consider the balance between readability and accuracy that will best suit the reader. Possibly the most readable translation on the market is the verse translation of Robert Fagles, published by Penguin Classics. Contemporary idiom is consistently favoured, and Fagles’ verse possesses a dynamic, driving rhythm that draws the reader into the poem. However, Fagles’ preoccupation with creating a readable and entertaining English rendering of the text leads him to obscure many of the repetitive stock phrases and epithets that mark out the Odyssey as oral poetry. Therefore, while I would recommend Fagles’ translation to those reading the Odyssey for pleasure, it is not entirely suitable for those studying it at AS-level. Most of what I have said about Fagles is also applicable to Fitzgerald’s translation. Again, it is written in English verse, and sacrifices accuracy in the interests of readability. While its literary merits are many, I personally find it rather less readable than Fagles’ translation. The same goes for Pope’s translation. Lattimore is by far the most accurate of all verse translators of the Odyssey, and many would argue that his translation is an even better representation of Homer’s Greek than the best prose translations. However, it is not overly readable, and the English is dated in places. The translation officially recommended by OCR, and the source of any passages set for comment within their papers, is the prose translation of E.V. Rieu, revised by D.C.H. Rieu. This, while less engaging than Fagles, and not quite as close to the Greek as Lattimore, is nonetheless both readable and tolerably accurate. One further option is the Loeb translation of Murray, revised by Dimock. While dated, and not particularly readable, this translation is extremely accurate. I would recommend it to any readers who have a little Greek (even if only to GCSE level), since the provision of the Greek text facing the English allows the reader to pick up on stock phrases, and on the use of important terms, such as ‘dike,’ that a translation, however faithful, may obscure. Hainsworth, J. B., Heubeck, A. 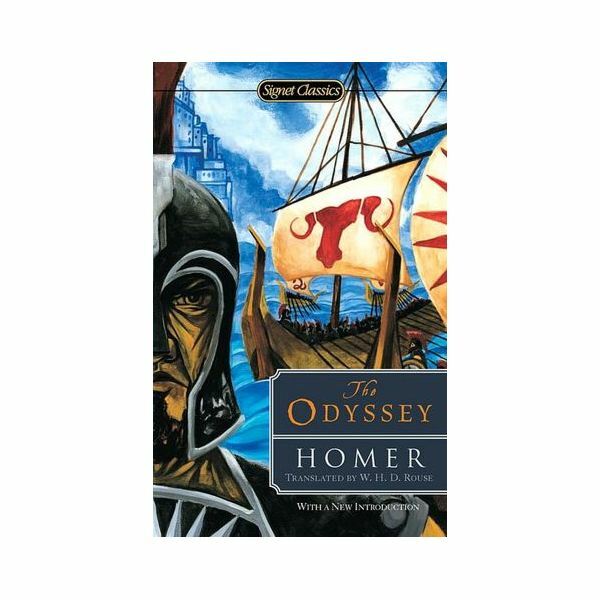 & West, S., A Commentary on Homer's Odyssey ; Oxford UP 1988-1992 – A detailed textual commentary, which also provides good summaries of past scholarship relating to many important issues. Finley, M.I., The World of Odysseus; 1954 (currently available from Penguin) – Does what it says on the tin – examines the world in which the Odyssey is set, providing an essential introduction to concepts such as gift-exchange, the oikos, and Homeric morality and values.